“You hope we can serve it as well second time round. Nicola Walker talking to me about returning to the role of DCI Cassie Stuart in the second series of Unforgotten. Teaming up again with Sanjeev Bhaskar, as DI Sunil ‘Sunny’ Khan, for a new six-part story starting on ITV at 9pm this Thursday (Jan 5). The acclaimed first series was followed by a BAFTA Best Supporting Actor Award for Tom Courtenay’s portrayal of Eric Slater. The 2017 series, again written by Chris Lang and directed by Andy Wilson, includes a new cast of ‘suspects’. With some unexpected twists along the way sure to provoke debate among viewers. Beautifully acted by all involved – not least Nicola and Sanjeev. “HOW do you live when you have done something in your past that you have to completely bury? “How do you present this alternative face and personality that you then believe is real? You re-write your history. Nicola Walker talking to me about new six-part puzzle Unforgotten. 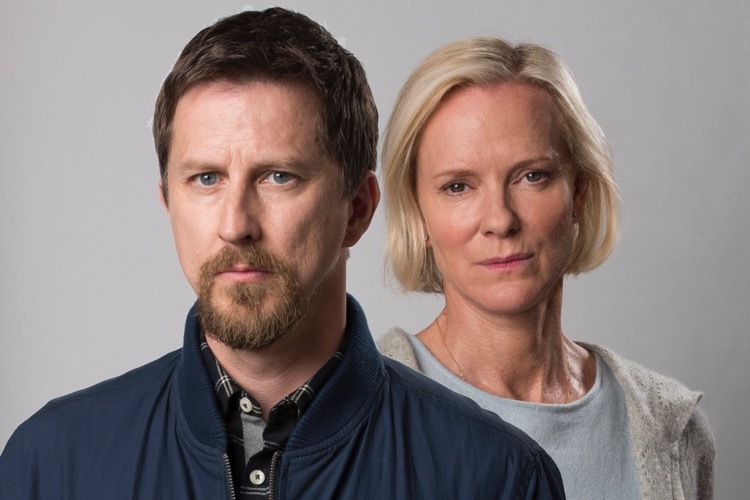 It starts on ITV at 9pm this Thursday (October 8) and is one of the best dramas I have seen in 2015. The first production from Mainstreet Pictures, the independent drama company set up by Sally Haynes and Laura Mackie. Unforgotten stars Nicola as DCI Cassie Stuart and Sanjeev Bhaskar as DS Sunil Khan. Investigating the murder of a young man dating back almost 40 years to 1976.